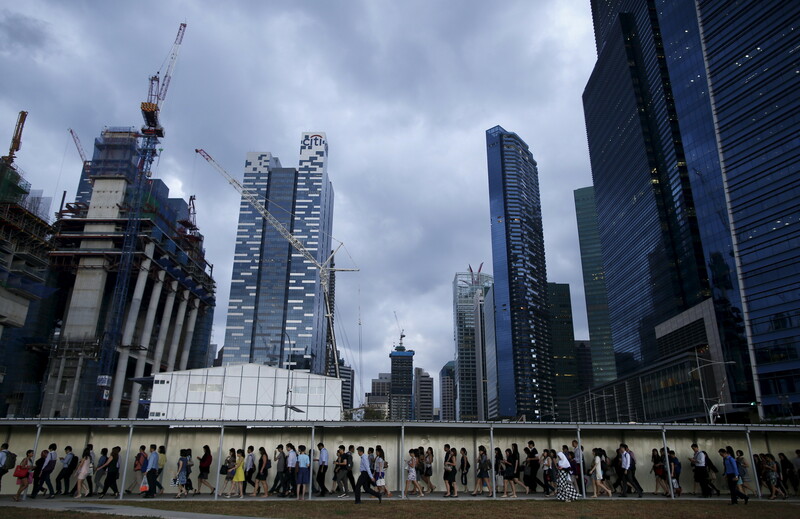 Singapore tops the list of the most expensive cities in the world for the fourth year in a row, according to the latest Worldwide Cost of Living Report from the Economist Intelligence Unit (EIU). Five of the six priciest cities in the survey are in Asia – Hong Kong comes second, while Tokyo, Osaka and Seoul are fourth, fifth and sixth, respectively. Zurich, ranked third, is the most expensive European city. Paris and Geneva are joint seventh and Copenhagen shares ninth position with New York, the only US city in the top 10. The annual survey, which helps companies calculate compensation packages for overseas postings, measures the cost of living in 133 major cities, including comparing the prices of more than 150 goods and services. The report found that Singapore was 20% more expensive than New York, and 5% more than Hong Kong. While living costs in some Asian cities are on the rise, European cities, which made up eight of the top 10 only a decade ago, have slipped down the index. The pound’s depreciation after the Brexit referendum helped push London down to its lowest position in 20 years. Of the 16 US cities in the rankings, only San Francisco, Lexington and Kentucky have moved up. However, US cities are still expensive compared with five years ago, when New York was in 46th place. 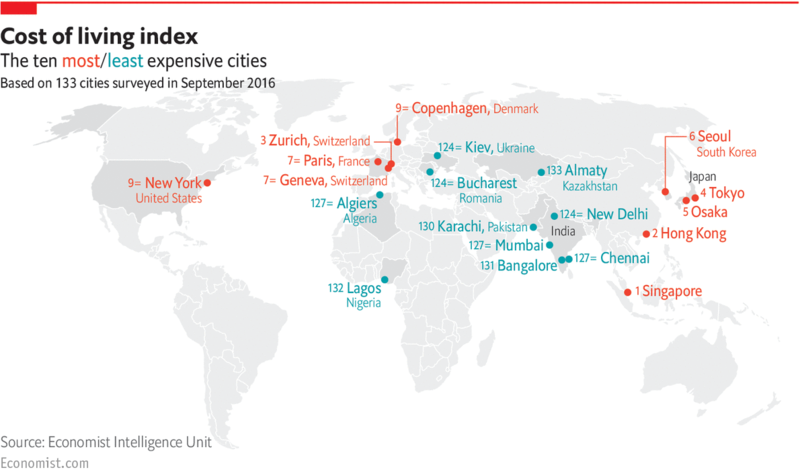 At the other end of the rankings, Almaty beats Lagos to the title of the world’s cheapest city. And Bucharest, which is joint 124th with Kiev, is the lowest-cost EU city. But again, South Asia dominates – five of the 10 cheapest cities are in India or Pakistan.